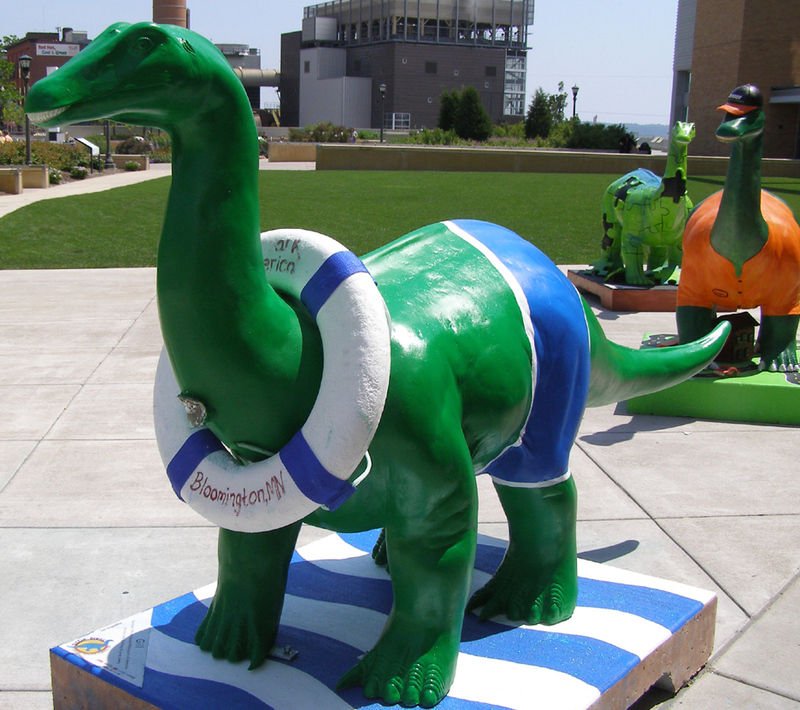 These Dinosaurs were created in 2007 in honor of the Science Museum of Minnesota's 100th anniversary. 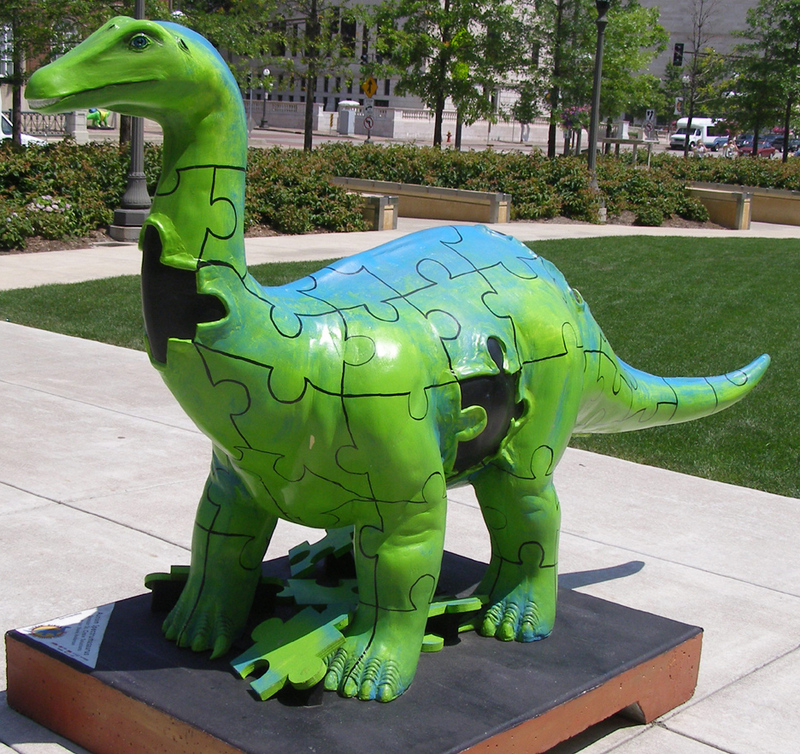 Sixty dinosaurs were decorated by local artists and scattered around the Twin Cities area as part of the Diggin' Dinosaurs project. The statues were auctioned off at the end 2007. For more, see this website. 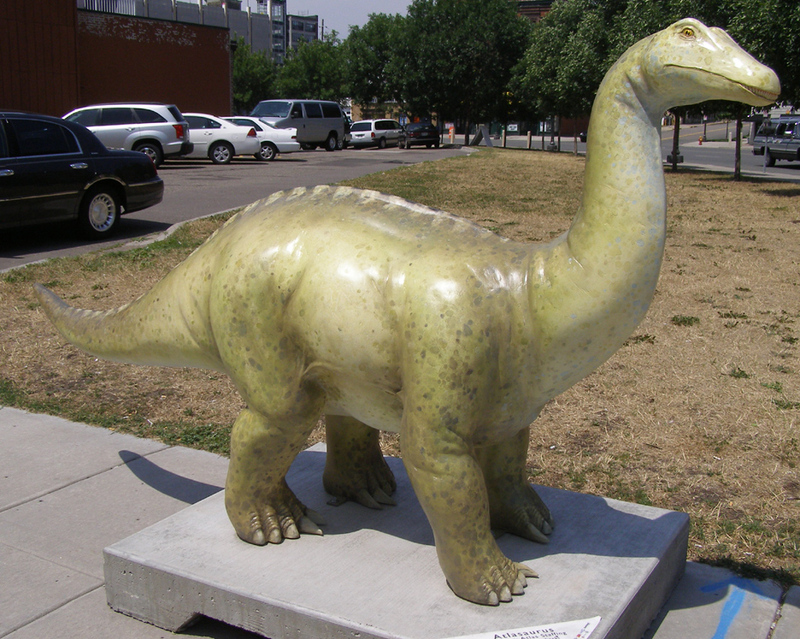 The dinosaurs at Paul Bunyan Land were located at the Jurrasic Auto Wash in Brainerd around 2005. The car wash closed and the statues were sold. They have been here since around 2008. 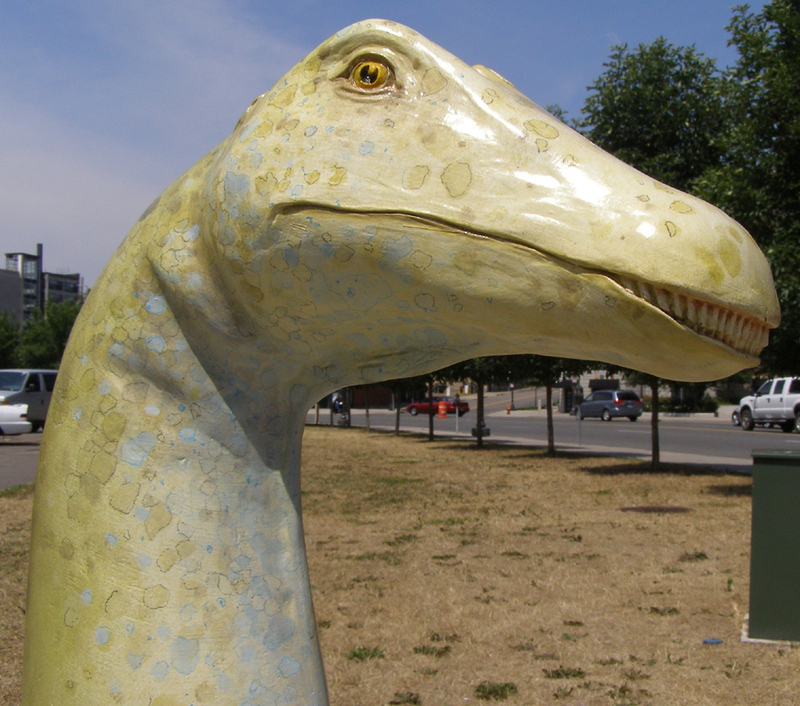 The statues were restored by Josh Porter of Avalon Studios. These photos are from 2011. For more, see this website.